Big Attitude Honda’s 2014 Grom is a fresh, new way to add some fun, practicality, independence and style to your life. 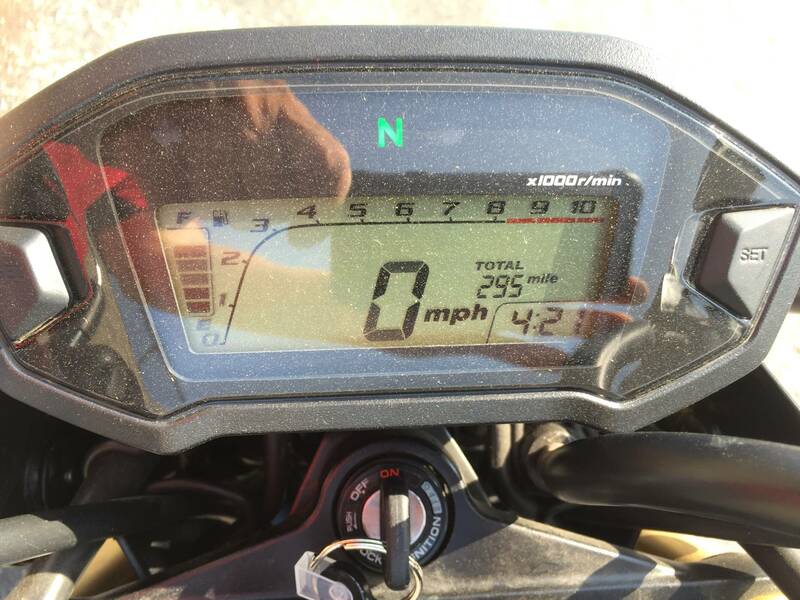 Fun: This new machine is a blast to ride, offering all the excitement of a full-sized motorcycle but in a package that just about anyone old enough to have a license can handle. 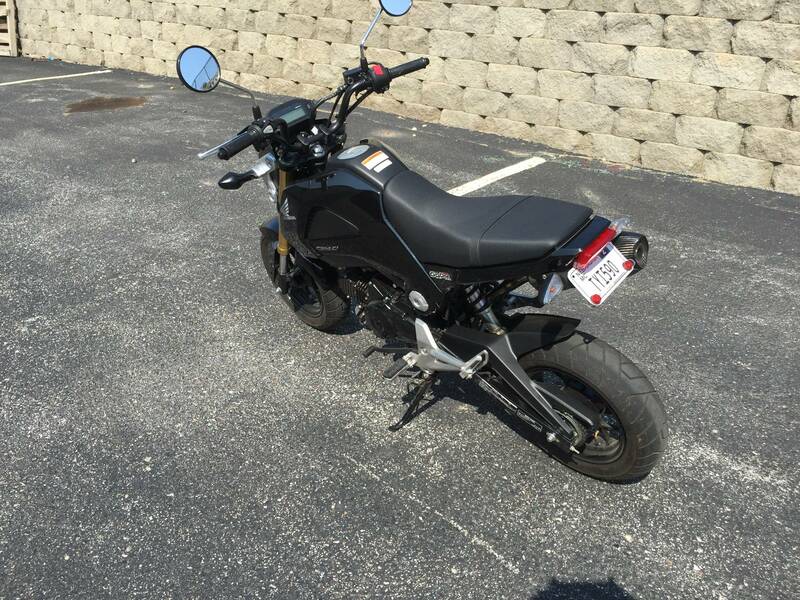 Practicality: The Grom's thrifty Honda engine means you can run it on pocket change, and you can park it just about anywhere too. Independence: With your own wheels, you can bag the bus and forget about having to beg for rides from your friends or – shudder — your Mom. 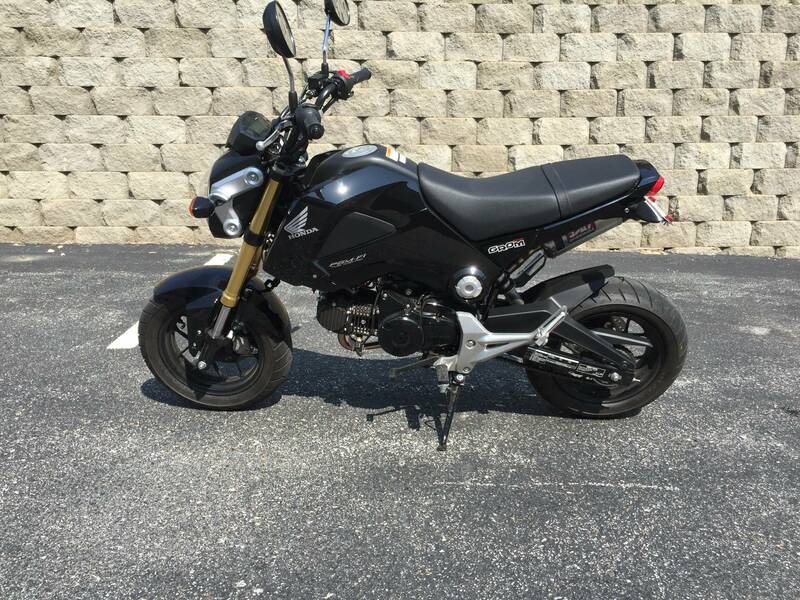 Style: Check out the Grom for yourself. And then think of it as a blank canvas, waiting for you to customize it. The new Honda Grom. Big Attitude. Ride one and see. 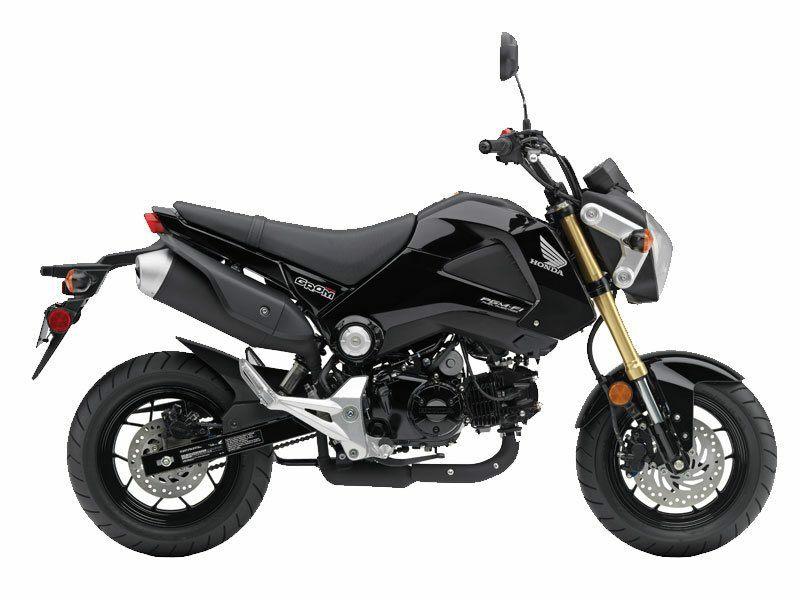 The Grom features powerful (220mm front and 190mm rear) disc brakes for both front and rear stopping power. At just 29.7 inches the Grom makes it easy to flat-foot it in parking lots or at stop lights. 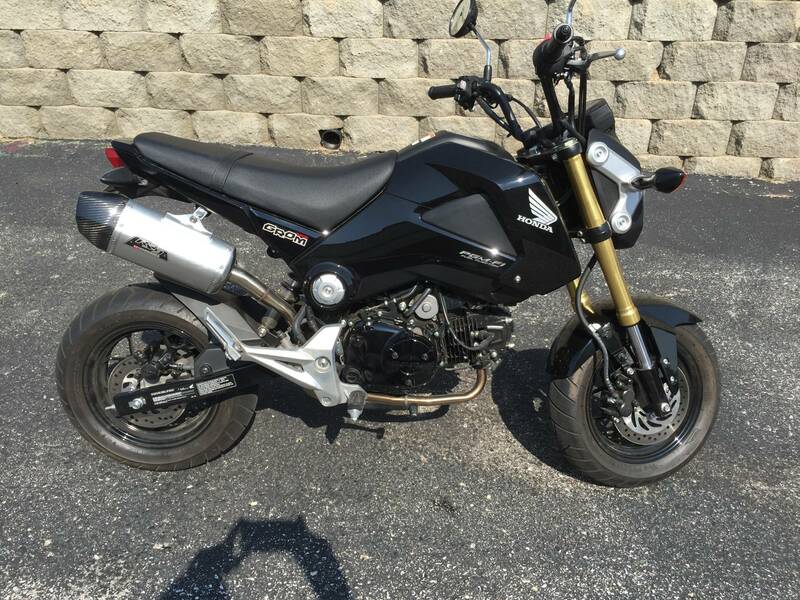 The Grom’s stylized bodywork makes a big statement and is sure to get attention wherever you ride.